Chinese New Year tourist market worth chasing? Above: Like the trail of ‘ants’ scaling The Rock, tourists stream out to the viewing platforms at the 12 Apostles. 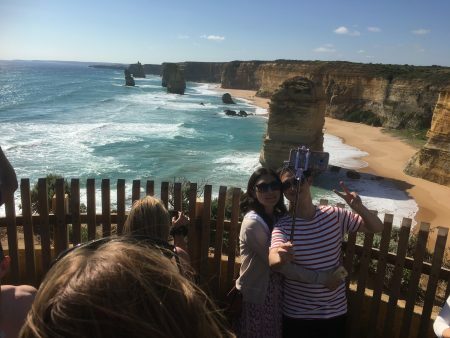 For two or three weeks from the start of the Chinese New Year on Saturday, more than 11,000 Chinese visitors a day are expected at the 12 Apostles on the Great Ocean Road, according to Maryanne Ross of Parks Victoria. How many are expected in Alice Springs? The representative body for the tourism industry in The Centre, Tourism Central Australia, doesn’t know: “Thanks for your enquiry,” says the media person, Paige Nguyen. Victoria’s Great Ocean Road has six and a half times more holiday makers than all of the Territory. 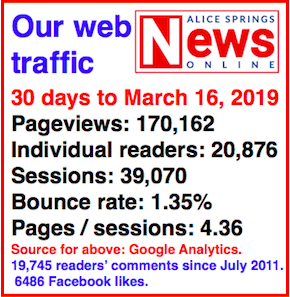 A straw poll by the Alice Springs News Online suggests that not many of the 5.7m people a year, who are marvelling at the surf pounded natural wonders, know much about Alice Springs, if anything. I spoke to groups of visitors at the 12 Apostles and Loch Ard, most of them travelling independently. A small group from Paris: No, we’re not going to Alice Springs. Woman in a group from China: Are you going to Alice Springs as well? No. Do you know where it is? No. 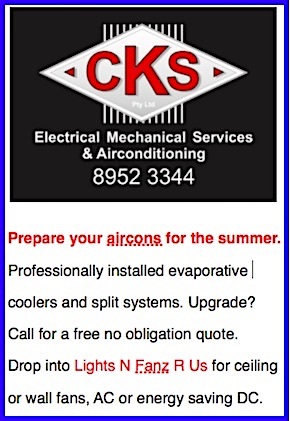 A man from India: Are you going to Alice Springs as well? Not yet. Do you know where it is? Not yet. A young woman, one of eight people, from China: Are you going to Alice Springs as well? No, we don’t have time. 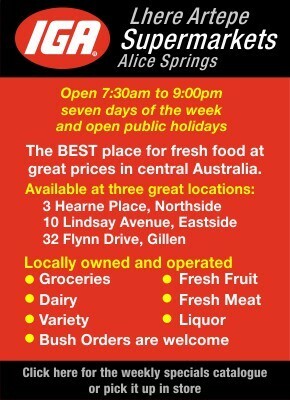 Do you know where Alice Springs is? No. 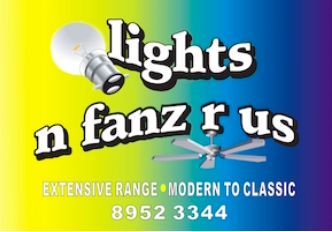 A woman in a Malaysian group: Are you going to Alice Springs as well? Ah, yes. Do you know where it is? No. 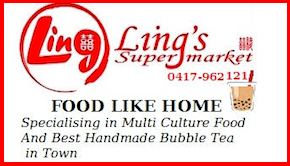 A man in a group from China, asked whether they will go to Alice Springs: We don’t have time. It’s in the middle of the desert. An Indian man now living in Australia: Are you traveling in a group? No, just with my family. Are you going to Alice Springs as well? Well, no. Do you know where it is? In the middle of Australia. Have you been there? No, but I would love to, obviously. Why? I want to see how Aborigines live, and the middle of Australia, [see] what it looks like. He has acquaintances from Alice Springs. A man in a group of friends from Korea: Are you going to Alice Springs as well? I don’t think so. Do you know where it is. Ah … In the middle of Australia, his wife interjects. The man: I have heard about it but I have’t been there yet. Two girls from Denmark, asked if they are going to Alice Springs. I haven’t planned it, no. Do you know where it is? I don’t know. Her friend: I kind of know where it is. In the middle of Australia. Laughs. A man in a family group from South Korea: Are you going to Alice Springs as well? No. Do you know where it is? No. Muslim women (wearing head scarves), living in Australia, travelling as a family. Are you going to Alice Springs as well? No. Do you know where it is? Not much English. Both Ms Ross and Liz Price, general manager of the Great Ocean Road Regional Tourism Ltd, want people to stay longer. “We’re a high number, low yield destination,” says Ms Price. The statistics include people who come from Geelong or Melbourne – around 50 kms – for a swim. 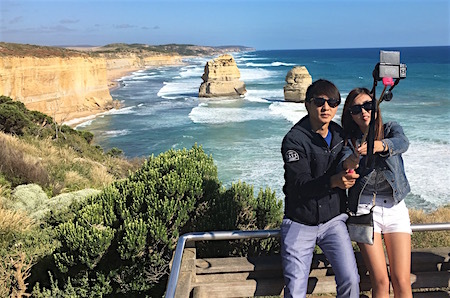 The visits to the dozen viewing locations of the impressive sandstone towers in the surf are fast and furious – a 10 minute walk, the obligatory selfies, and it’s off to the next stop. I took the stairs down to the spectacular Loch Ard inlet for a leisurely swim. No one else was in the water and I’m sure more photos were taken of me than ever of Kieren Perkins. None of the viewing stops along the road have anything for sale, but the small townships along the winding road are busy and friendly. 60% of the money is made in the first four months of the year. 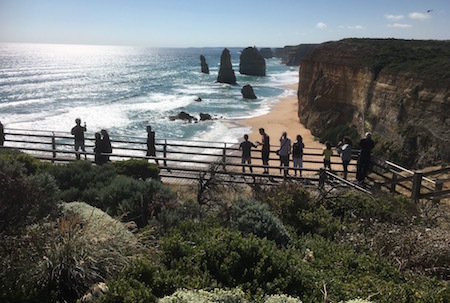 The 5.7 million visitors to the Great Ocean Road spend only 6.6 million nights, while the mere 881,000 tourists to the NT spend 5.3 million (figures to the year ending September 2016). The respective earnings are $1.3b for the NT and $1.1b for the Great Ocean Road. There is plenty to build on, says Ms Ross: “The park is considered to have the highest diversity of invertebrates on limestone reef in Victoria. In fact “12 Apostles” is a bit of cheeky false advertising. “There are seven rock stacks that comprise the Twelve Apostles – six are on display in the classic view enjoyed by millions of people over the years, with the seventh located several metres away from the corner of the main viewing platform. Ms Ross says the intertidal reefs provide occasional haul-out areas for Australian fur seals and 11 conservation listed shore or sea birds have been sighted, including the endangered wandering albatross, and the 12 Apostles beach has one of Victoria’s largest breeding colonies of little penguins. And not far from the shore is the large and densely forested Great Otway National Park that stretches from Torquay through to Princetown and has a huge network of treks, walks as well horse and mountain bike rides. @ Dorothy Posted January 26, 2017 at 7:39 pm: Well said. I agree. I find this comment offensive. Why is it necessary to comment that they are wearing head scarves? There is no mention of what other people are wearing. Is it any wonder people do not come to Alice Springs with comments like this. Airfares to Alice Springs are a rude shock to tourists.